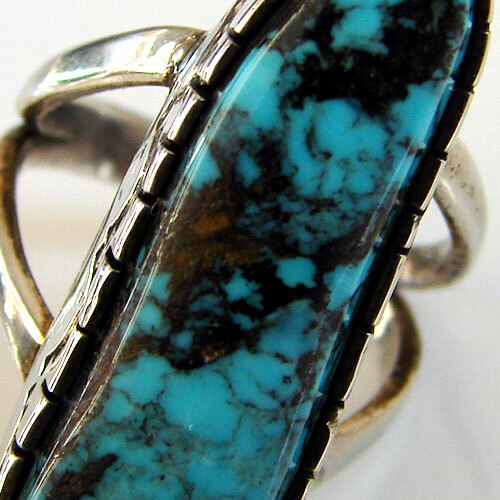 This exquisite Navajo turquoise and sterling silver ring was acquired in New Mexico. 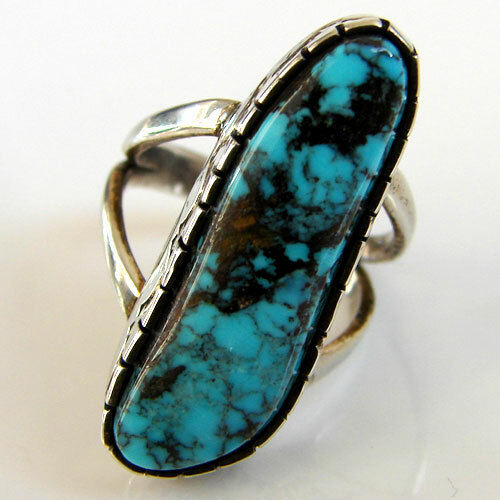 It is stamped with the maker’s initials: “FG.” The lovely turquoise stone which is characterized by brown and black matrix is just over 1” long by 3/8” at the widest point. 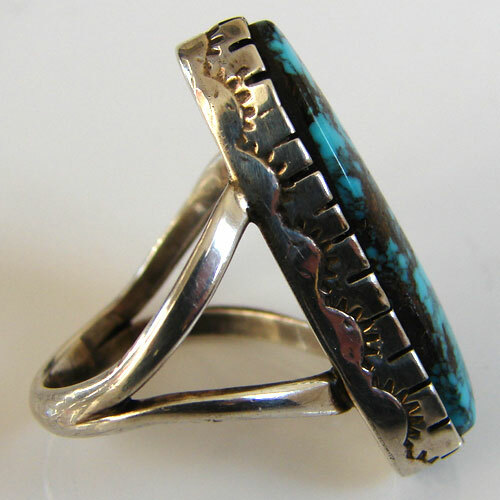 It is set firmly in an excellent saw-toothed bezel which is further enhanced by stamp work. 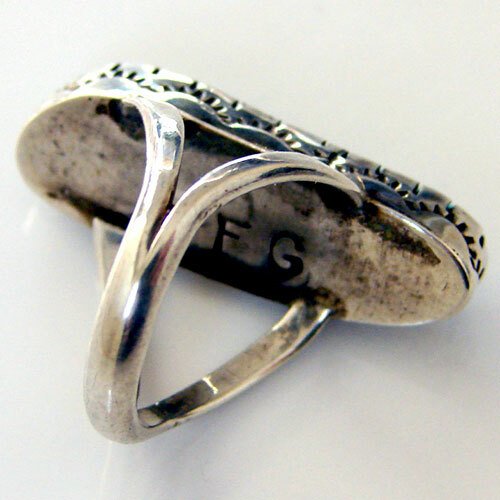 The ring is size 5.